Guest Post: “How to Identify Genre in Four Easy Steps (And Why it Doesn’t Matter, Anyway) by Tracy Townsend + International Giveaway! 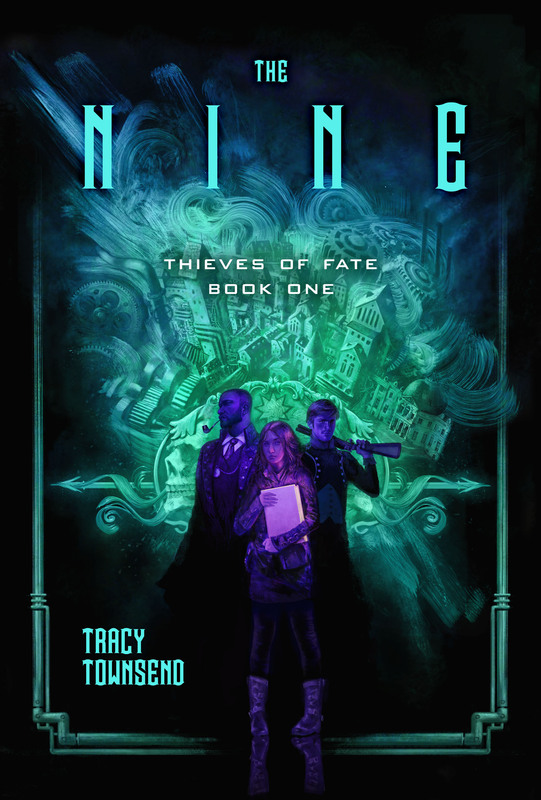 Today it is with great pleasure that we welcome author Tracy Townsend to The BiblioSanctum to talk about The Nine, her epic fantasy featuring a dark heist story about a self-scribing book that may be the key to the universe! I recently finished this incredible debut and loved it to bits, which is why I couldn’t be more thrilled when Tracy agreed to share her inspiration with us in a guest post and and discuss what motivated her to write her novel. Published by Pyr on November 14, 2017, The Nine is now available wherever books are sold, so be sure to check out it out! My review of it will be up very soon; in the meantime, please enjoy the post and don’t forget to enter our giveaway, which is open internationally – so come one come all! If you’re reading this, then you’re the sort of person who cares about books, and probably genre fiction in particular. Congratulations! You are most assuredly one of my people. I horrified a few of my teaching colleagues at a recent speaking engagement when I answered the question “Why do you write fantasy? What got you into it?” by saying that I have no interest in realistic fiction whatsoever. It is true. I don’t get interested in stories that seem too much like the world I wake up to every day. But I also have very little interest in genre labeling, even within realms of the fantastic. It seems booksellers and publishers and certain fandoms do, for their own practical reasons. Some have done a bit of head-scratching over my debut novel, The Nine. “Is it fantasy?” folks ask. I hate to leave readers confused (all right, fine, I actually sort of love doing that, then giving you a big AH HA later, but bear with me). So, in the interests of public service, I’ve drawn up a quick guide for How To Test What Genre You’re Reading. Step One: Immerse the text in water. Does it shoot off sparks? Probably science fiction. There are a lot of delicate zappy bits in there. That or it’s an ebook. If the wet book has not issued content-related sparks, proceed to Step Two. Does the book require an incantation to be properly read? Do you feel a sudden, reeling weariness, as if your very life essence has been tapped by forces of the arcane in service of binding this story to your mind? Probably fantasy, then. If the book is damp, non-sparky, and has not given signs of responding to you through ancient powers, proceed to Step Three. Step Three: Give the book to someone else and ask them to read a page. Does the book make sense to them? No? It’s probably slipstream or literary speculative or I don’t know, are you still really reading these steps? Have you seen where this is going? No? If the book is damp, non-sparky, non-magical, inscrutable, AND you are a very stubborn person, proceed to Step Four. Does the writing you where you live, in that little corner of weirdness or escapism or thoughtfulness or cultural critique or life-affirmation or challenge to the status quo that feels like where you ought to be, at least right now? Is it talking to you? Do you want to know what the next page will say? It’s your book. It’s the one you’ve been looking for. I hope, whatever anybody else calls it, you can call it a good companion on whatever journey you’ve embarked upon today. I wrote The Nine because my book didn’t exist yet. I wanted mercenaries and heists and dirty laundry and broken families and redemption arcs and conspiracies and shattered faith and faith restored and crazy monsters and monsters who are actually human beings, right down to their ten fingers and toes (or in Anselm Meteron’s case, his nine and a half fingers). I wanted the smell of coal and the gray of ashes. Rust and brass. Lightning rails and air galleons. I wanted a story that would make people think, make them worry, make them cry, make them laugh, and give them a few heart-pounding fight scenes along the way. Science fiction and fantasy is a funny place to be a reader. We’re supposed to be at home with strangeness and the unexplained, figuring out stuff as we go along. Often, though, we cling to labels, and while they have their uses, they’re mostly nonsense. Every genre label is just an argument in disguise — an argument that’s assumed to have been won already. They’re an effort to talk you into reading the text a certain way or putting it on a certain shelf. It won’t bother me one bit if The Nine ends up shelved with people’s Cherie Priest, or their China Mieville, or their Michael Moorcock. You could even put it next to Watchmen and Amulet and Hellboy. Shelve the book wherever you like. But I hope you pick it up, wherever it’s been put down. I hope it becomes your book, too. Just. . . maybe don’t actually put it in water. Tracy Townsend holds a master’s degree in writing and rhetoric from DePaul University and a bachelor’s degree in creative writing from DePauw University, a source of regular consternation when proofreading her credentials. 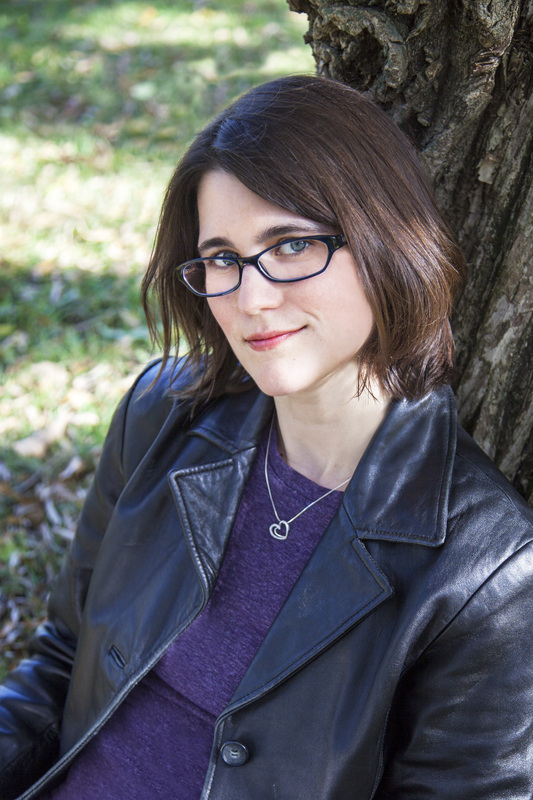 She is a past chair of the English Department at the Illinois Mathematics and Science Academy, an elite public boarding school, where she currently teaches creative writing and science fiction and fantasy literature. She has been a martial arts instructor, a stage combat and accent coach, and a short-order cook for houses full of tired gamers. Now she lives in Bolingbrook, Illinois with two bumptious hounds, two remarkable children, and one very patient husband. Her debut novel, The Nine, is the first in the Thieves of Fate series, published by Pyr November 14, 2017. You can find her on Twitter at @TheStorymatic and on the web at www.tracytownsend.net. Interested in checking out The Nine? Well, you’re in luck! With thanks to the publisher, the BiblioSanctum is pleased to be hosting this amazing giveaway opportunity which is open internationally so everyone is free to join in the fun. Two winners will be chosen who will each receive a print copy of the book. To enter, simply send an email to bibliosanctum@gmail.com with your Name and valid Mailing Address using the subject line “THE NINE” by 11:59pm Eastern time on Monday, December 18, 2017 and we’ll take care of the rest. Only one entry per household, please. The winners will be randomly selected when the giveaway ends and then be notified by email. All information will only be used for the purposes of contacting the winner and sending them their prizes. Once the giveaway ends all entry emails will be deleted. Lol, very good post. I always have issues with figuring out what genre books are. All just books to me. Well I am disappointed we didn’t get definitions for Grimdark and LitRPG while you were at it, but loved the post. I only bring it up because I am in writers groups for both those genres and half of the discussions we have are about the definitions. I think the beneficial function of discussing genre lies in how it makes us think about what been done already, what is yet to be done, and what we value as readers and writers in both. Sit a dozen geeks like us down in a room and ask us to define [insert genre here] and I wouldn’t be surprised to get a dozen answers with varying degrees of difference between them. The struggle to codify and understand a genre should itself add value to how the genre is made or read. If it doesn’t, it’s a discussion I (personally) have little use for. Like language itself, genre is a fluid construct. I’m more interested in watching stories take the shape of the containers we put them in, and varying those containers, even forming new ones, than I am in using the containers to dictate what can or can’t be stored inside them. That’s a principle that makes sense for storing stuff in your pantry, sure. It’s less useful for genre, which is more about degrees of familiarity and similarity than adherence to common type because of practical limits. I know this STILL doesn’t provide my POV on Grimdark or LitRPG for you (as a child of the Grimdark 90s comics scene and a reader of TSR and Shadowrun novels, back in the day, I know a little of both). But I hope it encourages you and your writer friends to keep those conversations productive and motivating! I’m glad you have such a group to support you. I’ve always been a sci-fi fan, but I love how the genre is widening these days, taking in lots of elements of genres not always associated with it. Sci-fi for everyone!